Hi friends! I hope you were able to participate in the Summer Virtual Book Club with us. We teamed up with a group of bloggers to study one author each month. Bloggers and participants shared book projects and we were able to create a great resource of activities for our three selected authors. 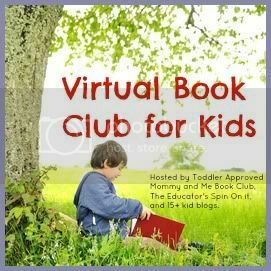 We enjoyed the book club so much, the group of bloggers who began the Summer Virtual Book Club have decided to continue for the next year! Each month we will feature one author. I'll remind you at the beginning of the month. Near the middle of the month, there will be a linky party to share the ideas for studying the selected author's books. Planting a Rainbow, Growing Vegetable Soup, and Leaf Man. I'll be featuring "Nuts to You!" for the month of September on Ready. Set. Read! I'm also excited to announce the year long schedule for the virtual book club. Here's what we'll be reading and when we'll be meeting up online! 2. Choose a book by Lois Ehlert and read it to your class. 4. Come back and link it up on September 17th. The linky will be live for 3 weeks so feel free to add more than one project or link up later. I hope you pick a Lois Ehlert book and join us on September 17th as we share wonderful books and activities. Awesome. We love Luis Ehlert and might be able to join. Happy reading!